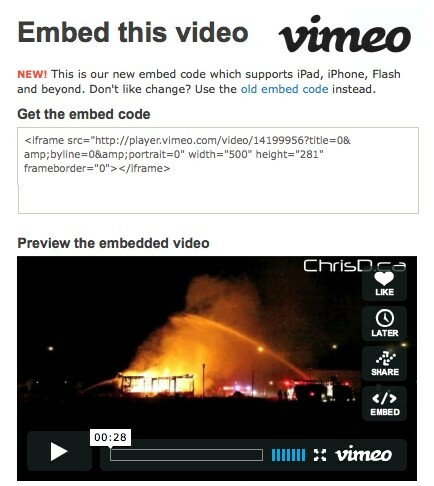 After months of waiting patiently for our video service provider to switch over to HTML5, Vimeo finally added support for content to play on the iPhone and iPad this week. As you’re likely already aware, most embedded videos online play in Flash format, which cannot be viewed on some mobile phones. With the exception of a partnership between Apple and YouTube to allow for embedded views from the Google-owned video sharing site, most other video communities have been left out until now. With the option to embed in HTML5, videos posted from this point forward on ChrisD.ca will be viewable on your smartphone. We’ve known for a while that viewers have often wanted to watch our content on the go, so in addition to uploading videos to Vimeo, we’ve been adding duplicate copies to our YouTube channel. This has made it possible to watch our videos on your mobile device, albeit not directly on our website. Vimeo is a superior video-sharing site and has been working hard for over five months to bring its users the ability to fully take advantage of HTML5.